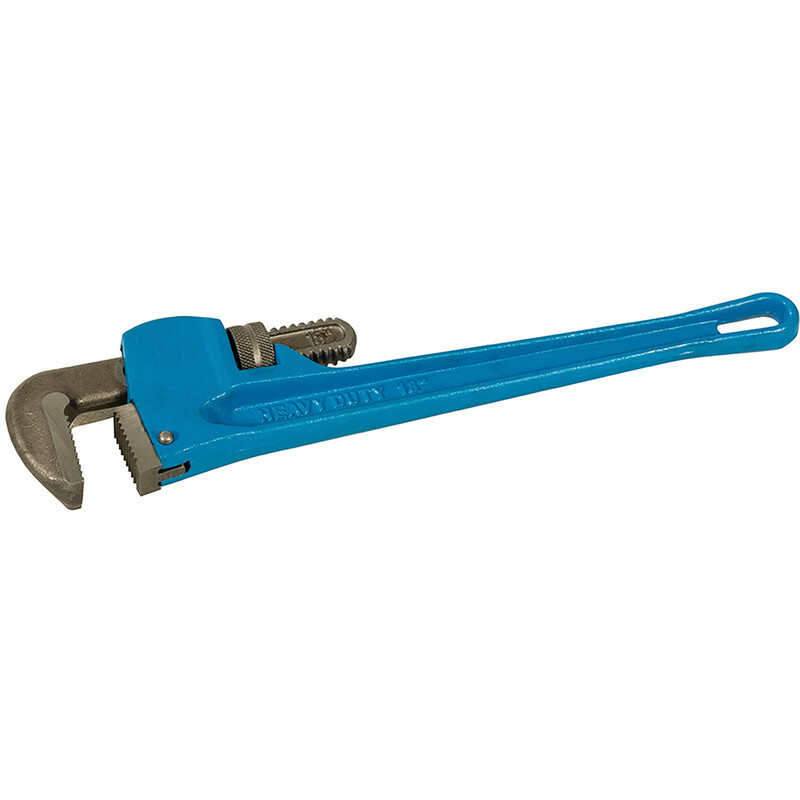 Heavy duty forged steel wrench with hardened steel jaws. 70mm jaw capacity. Stillson Expert 17.5" (450mm) is rated 4.8 out of 5 by 9. Rated 5 out of 5 by a n other1 from Great for price Did the one job it was needed for. Great bit of kit for the price. Also found it handy for various jobs since now I have it. I'm sure you'd want to invest more if you needed to use it routinely but for the DIY'r its perfect. Rated 4 out of 5 by MAKldn from Does the job Item doesn’t look like the one online and the workmanship could be better but it does the job! Rated 5 out of 5 by ValleyMan from Stillson Bought 2 of these to dismantle some 1 1/2 inch malleable iron compressed air pipe in an old factory. The teeth gripped the pipe well even when I had to use a 4ft long bit of scaffold bar as extra leverage to loosen some of the joints. The make supplied was Silverline. Rated 5 out of 5 by MikePat from Exceptionally good value. I needed a fairly large Stillson Wrench, and this did the job admirably. The tool seems very well made. Rated 4 out of 5 by Badgerb from Excellent value I was given some used black air pipe and used these to strip the old fittings off and install the pipe in my garage/workshop. For the price you could not fault them. Gripped well for both stripping and assembly. Rated 5 out of 5 by John323 from Worked a treat Only used it once, but worked a treat and looks like it's going to last.